Franck Riester is a French politician. He is the current French Minister of Culture. 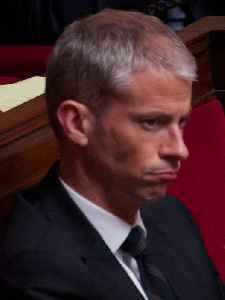 He was a member of the National Assembly of France from 2007 to 2018. He represented the Seine-et-Marne department, and is a former member of The Republicans, formerly known as the Union for a Popular Movement. He founded and currently leads the Agir party. Riester came out as gay in 2011, the first French MP to do so. He was named Minister of Culture in the government of Édouard Philippe on 16 October 2018.